The September Newsletter is posted on the website under the “Calendar” tab or click here. On Monday, Labor Day, the Outdoor Pool opens at 10:30 am. With the wonderful summer weather, we will be keeping the Outdoor Pool open past Labor day, for as long as the weather cooperates. Watch here and our Facebook page for updates in case we have to go indoors before October. With school in session, the pool will be closing at 8 pm during the week, and 7 pm Friday, Saturday and Sunday. 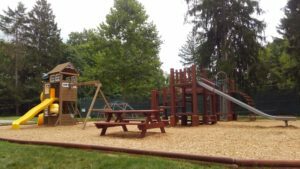 Come up and check out the updates to the Greenwood Playground. We renovated the old playground and added new equipment, including swings! We also have several fun upcoming events. 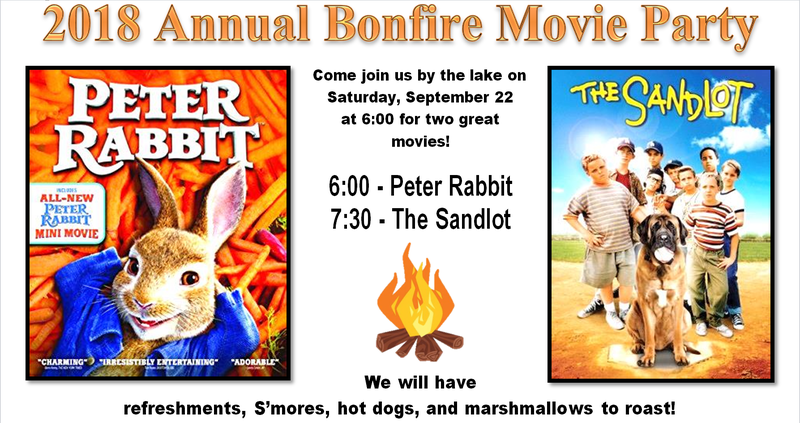 Saturday, September 22, join us by the lake for our annual Bonfire Movie Party, showing Peter Rabbit at 6 pm, and Sandlot at 7:30 pm. Click here for flyer. Friday, September 28 is the annual Greenwood Village Clam Bake. Click here for the flyer with all the info, and click here for the Clam Bake Sign-up Form. Don’t miss it, last year we sold out! Be sure to check the newsletter for more information not posted here.